Jason Wager, CCFC Coordinator, was recently mentioned in a Centralina Council of Government newsletter article for his election to serve on the National Clean Cities Coordinator Council. Click the following link to read the article titled "Centralina COG Staff Members Receive Recognition for Great Work Across the Region." The Spring 2017 Plug-in NC newsletter is here! Plug-in NC has been working since 2011 to establish North Carolina as a leader in electrified transportation. Centralina Clean Fuels Coalition staff and stakeholders participate actively in this state-wide program that promotes electric vehicles through education and outreach, consulting and resource development, striving to provide a collaborative opportunity to work together to ensure a seamless integration of plug-in electric vehicles into our local communities. Click here to read more. 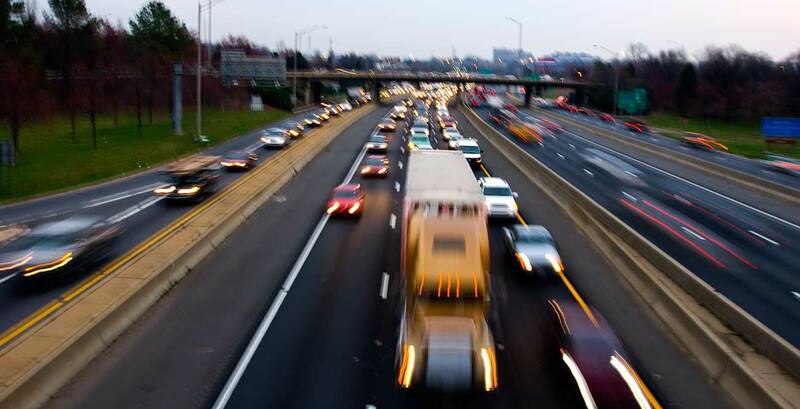 The Greater Charlotte Regional Freight Mobility Plan is here! The plan is designed to identify methods of freight efficiency, which in effect will increase fuel efficiency. Over 77% of the region's freight tonnage is moved by truck. When we improve freight mobility and safety, it can reduce congestion and mitigate environmental impacts. The project team will present the Freight Mobility Plan at the region’s transportation planning organization policy and program boards in the first quarter and then broader regional meetings with local government and economic development representatives in the spring. Please stay tuned for what’s next by checking the CCOG Freight webpage for details on upcoming meetings and events. Click here to read the Freight Mobility Plan, located on the CCOG website. If you have any questions or would like additional information, feel free to contact jhill [at] centralina [dot] org (Jessica Hill). Energy Independence Summit 2017 Representatives from the Centralina Clean Fuels Coalition joined clean transportation leaders from across the nation in Washington, DC to educate federal policy makers about the need to expand America’s use of alternative fuels, including biofuels, electricity, natural gas, and propane autogas. CCFC Chairman, Chris Facente, and Coordinator, Jason Wager, participated in Energy Independence Summit 2017, the nation’s premier clean transportation policy event, on February 12-15. 2016 Diesel Emissions Reduction Grant Funds Available--Quick Turnaround! For more information and links to the on-road and non-road applications, please visit http://deq.nc.gov/about/divisions/air-quality/motor-vehicles-air-quality/mobile-source-emissions-reduction-grants. 1/5/17 Update: This incentive has now been extended through March 31, 2017. The Centralina Clean Fuels Coalition is proud to bring you this great offer through our affiliation with Nissan and Plug-in NC. Effective December 15, 2016, Nissan North America offers special pricing to Plug-in NC Stakeholders, on the 100% Electric, Nissan LEAF. This offer supports their commitment to advance the energy, economic, and environmental security of the United States by supporting local actions to reduce petroleum use in transportation. For a limited time, Plug-in NC Stakeholders can use the organizations fleet incentive from Nissan, to purchase a Nissan LEAF, “America’s Best Selling Electric Vehicle”, at a substantial discount. Currently the retail incentive is $4,000, but under this program Plug-in NC Stakeholders are eligible for a $10,000 rebate. That’s 2 ½ times the rebate available to other retail customers. Combined with the Federal EV Tax Credit of $7,500, Stakeholders enjoy net savings up to $17,500. Both Plug-in NC and Nissan are committed to environmental sustainability and reducing greenhouse gases. Key to this goal is limiting output from commuting and fleet operations. Zero emissions vehicles, like the 100% electric Nissan LEAF, can play an important role, reducing 6 to 9 tons of CO2 annually for every gas engine car replaced. That’s equal to planting 2,500 trees a year. Already proven perfect for urban commuting, with low operating costs and superior reliability, an EV may well fit your lifestyle. This special offer is available to Plug-in NC Stakeholders, and cannot be combined with any other Nissan fleet or retail offers. This program is a limited time offer, and will likely conclude without advance notice. Visit your local Nissan dealer today for details and provide them a copy of this announcement. Questions? Contact Cornelius Willingham at 404-655-5370 or cornelius [dot] willingham [at] nissan-usa [dot] com or download this PDF for more information. Elections were held at CCFC’s November Core Stakeholders Group Meeting for the roles of 2017 Chairperson and Vice Chairperson of the Centralina Clean Fuels Coalition. Stepping into the role of Chairperson for 2017 is Christopher Facente, University of North Carolina Charlotte's (UNCC) Automotive and Motor Fleets Supervisor. Chris has been actively involved with the coalition since the beginning of his current position with UNCC. Michael McDonald, UPS Director of Maintenance for South Atlantic District was named 2017 Vice Chair for the coalition. As a member of the National Clean Fleets Partnership, UPS is reducing petroleum use and emissions through careful route planning, fuel efficiency measures, and alternative fuel use. I-85 and I-40 in North Carolina Make the List! brings together a consortium of stakeholders including state agencies, utilities, alternative fuel providers, and car manufacturers to promote and advance alternative fuel corridor designations in conjunction with the Department of Energy. As one of several partners that supported NCDOT’s August 2016 proposal to FHWA, the Centralina Clean Fuels Coalition has a direct interest in ensuring that a variety of transportation fueling and vehicle options are available to fleets and individuals in our region and beyond along our major corridors. This announcement from FHWA is the first step in what we perceive to be a longer term “work in progress” to support the growth of fuel diversification for our stakeholders and the state overall. Please don’t hesitate to reach out to jwager [at] centralina [dot] org (Jason Wager) of the CCFC staff if you would like more background on this initiative or wish to discuss ongoing integration of this and related topics into your project and planning efforts. For quick reference, below are maps pulled from the FHWA website announcing these corridors (http://www.fhwa.dot.gov/environment/alternative_fuel_corridors/), by fuel types (Electric and Compressed Natural Gas), for portions of I-85 and I-40.